William H. Bonney, born in November of 1859, began his criminal career early. At the age of twelve, Billy stabbed a man in a bar fight, then spent his teenage years stealing and gambling. At seventeen he committed his first murder and earned the nickname "Billy the Kid" from the news reporters who followed his exploits and helped his reputation reach epic heights. Here, Pat F. Garrett, the Sheriff of Lincoln County, does his best to tell us the incredible story of the kid who became a coldblooded outlaw. 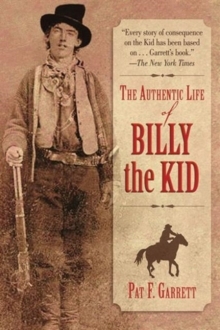 Written just eight months after he shot Billy in Fort Sumner, New Mexico, in 1881 a happenstance meeting at the home of Pete Maxwell Garrett takes us through Billy's earliest days in New York, his move west, adventures in Mexico, and Billy's repeated arrests and escapes all of which led to the Kid's eventual death. More than 100 years after the death of Billy the Kid, the popular legends surrounding his life show no sign of dissipating. 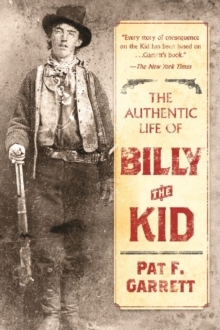 Complete with a new foreword for this edition, The Authentic Life of Billy the Kid is both a tribute and an expose from the man who took him down.